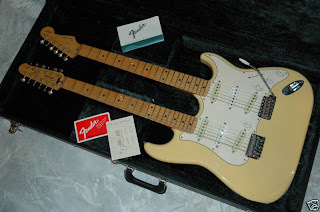 According to the seller, this guitar was produced by the Fender Japan Custom Shop between '93 and '94, with less than 200 made. Both the 12 and 6-string necks have scalloped fingerboards , vintage-style Kluson tuners, Dunlop 6100 jumbo frets and DiMarzio HS-3 stacked-coil pickups in the neck and bridge positions. 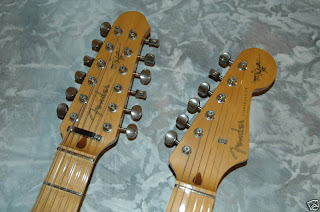 The center pickups on both necks are stock Fender Japan single-coils. 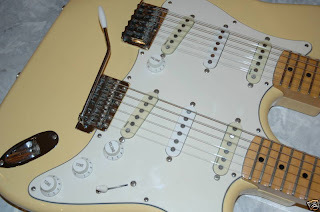 In lieu of a 6/12 neck selector switch, a 'balancer' pot is situated on the 12-string side allowing the player to dial in the relative volume output for each neck. 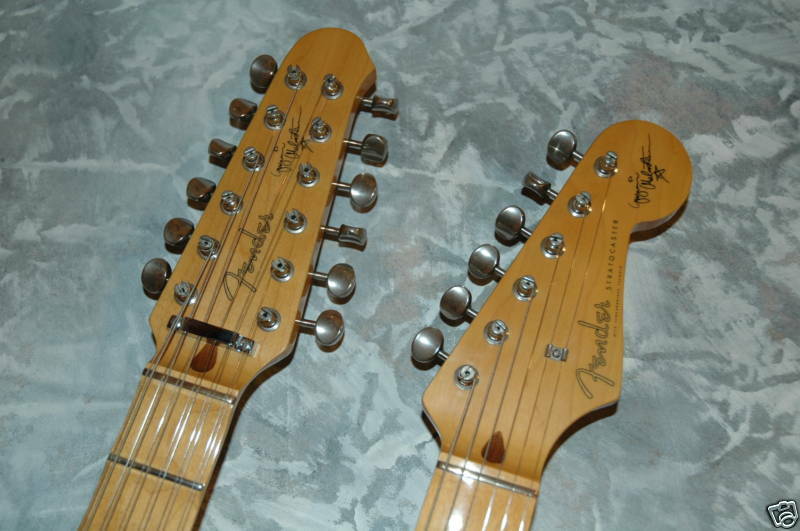 The body is basswood as is commonly used on most guitars in the Fender Japan line. Check Out More Yngwie Stuff Here!